Marney came to us from our friend Jenny's happy flock. Marney was rescued by Jen and turned out as she gained more weight, Jen found out Marney was pregnant! Unfortunately, Marney's baby was born and did not make it, so Marney needed a place to stay away from her boyfriend. 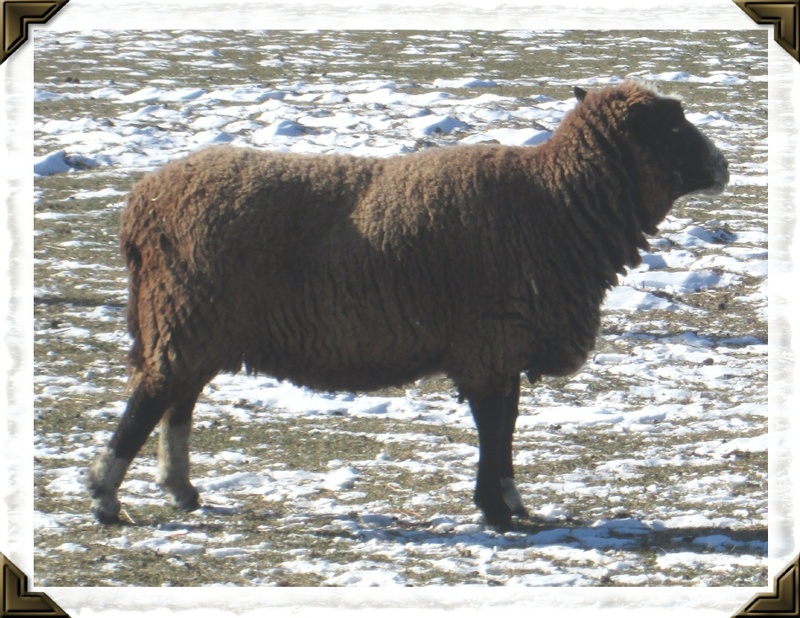 We think Marney is a Jacob/E.Fresian x sheep? She is a sweet girl with lots of sass- her best friends are Casey and Apollo. They are helping me convince Marney (even after all this time) that treats (and people) are GOOD! 2015 Update! Marney is turning into a teenager on our version of the age chart. She is still happy, healthy and loves her friends Casey and Apollo. She's still pretty wild but that's ok. She will come close enough for us to toss her a treat now though! 2018 Update! Marney is as sweet as always. She's developed sore front legs but we think it is because her feet needed to be trimmed. That is what we HOPE it was anyway. No arthritis please! She's enjoying the big pasture with the others. Her best friend continues to be Apollo. He takes very good care of him. Her fleece this year is gorgeous as ever. A little more gray through it but that's ok- I am too!